Vocal Variety is a term used by many speakers to describe variations in the sounds created by speaking. Other terms for this are inflection, expression or prosody. How is Vocal Variety Created? Cadence: The way you end a sentence. Variety is found in open versus closed cadence. Speed: The pace at which you speak. Variety is found in fast versus slow pace. 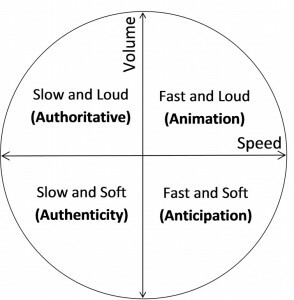 Volume: Variety is created by contrasting loudness and softness of speech. Pitch: Variety is created by using more range in your speaking voice. Every sound you make has a pitch. Say “long” and elongate the vowel sound to illustrate the meaning of the word. In contrast, say “short” and abbreviate the vowel sound and punch the “t” to illustrate the meaning of that word. This example shows how many of our words are already expressing their meaning when we speak. 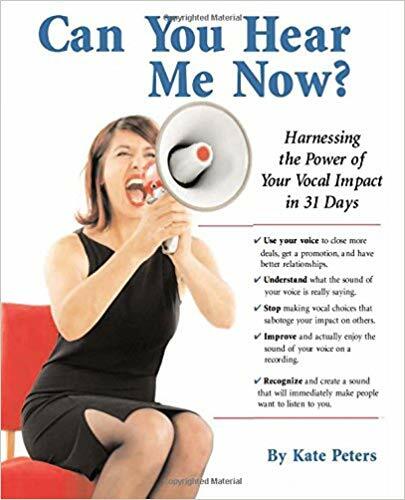 True vocal variety is the use of vocal sounds to infuse meaning into all words. It starts with the recognition that every sound you make creates an impression on others. I call this your vocal image. What really makes this interesting to me is the infinite variety created by combining different aspects of sound. I completely agree that attributes of sound give us perceptions of the speaker and that the perceptions may change as we combine the attributes in different ways, hence creating vocal variety. Here’s where I want to challenge you, my readers, and respectfully disagree with Cal’s post and even with the responses of his readers. I am not convinced that every time a speaker speaks slowly and softly that they are perceived as authentic. A person who is afraid may also speak slowly and softly or fast and softly. However, it is absolutely true that the sound you create gives a perception to your listener. Use this information from this quadrant to increase your awareness of your “bag of tricks,” the tools you have to make yourself heard as a speaker. Ask yourself, “what is the impression I give when I speak slowly and softly, or loud and fast, with short and long vowels and consonants? Is it negative or positive, and how can I use that combination of attributes to create more interest and also to create the impression I want?” Listen to other speakers as well or actors in films. How do they use vocal variety to express emotions? What vocal image is conveyed by the patterns of sound each person creates?